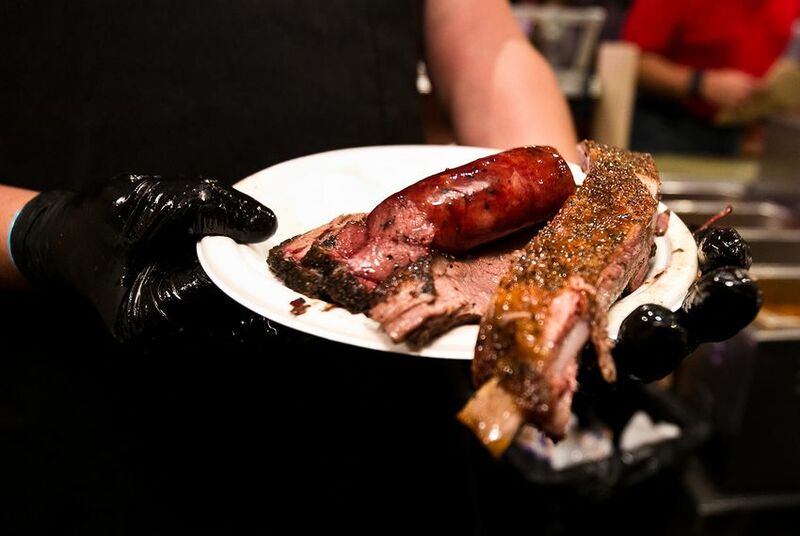 Attorney General Ken Paxton sides with restaurants, retailers on enforcement of "Barbecue Bill"
A nonbinding opinion issued Monday by Attorney General Ken Paxton continues a battle between lawmakers, restaurants and the Texas Department of Agriculture over the regulation of scales used to measure food. A nonbinding opinion issued Monday by Attorney General Ken Paxton continues a battle between lawmakers, restaurants and Agriculture Commissioner Sid Miller over the regulation of scales used to measure food. Under state law, roughly 17,725 retailers, including grocery store chains, airlines, coffee houses, laundries and brisket purveyors, are required to use scales to measure what they sell to the public. Those scales are also supposed to be registered with the state so inspectors can ensure that they're not tipped in the seller's favor. A law passed during last year’s legislative session, however, carved out exemptions for scales “exclusively used to weigh food sold for immediate consumption,” meaning places such as yogurt shops and barbecue joints won't have to get their scales registered. Miller’s agency, which was charged with verifying the accuracy of the retailers’ scales, decided that businesses would only be exempt from regulation if they weighed foods to be eaten “on the premises.” But the barbecue bill's authors argued that in determining how to implement the law, Miller’s agency misinterpreted its intent. So Miller asked Paxton for a written opinion.